It’s always scary whenever we hear the word ‘cancer.’ Despite advancements in cancer treatment, it continues to affect millions of people every year. Oral cancer, while not as widely talked about as other cancers, is still very serious and can be deadly. During this Oral Cancer Awareness Month, our dental office in Chester wants to share some important information about this serious disease. 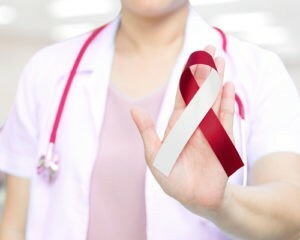 Even though oral cancer takes the lives of so many people every year, it is a very treatable cancer when caught early. This is one more reason it’s so important to see your dentist in Chester every six months. During your checkups, your dental team is looking for any potential signs of oral cancer so that you can get treatment right away. When caught and treated promptly, the survival rate greatly improves. Keep in mind that a lot of oral cancer symptoms can easily be mistaken for other problems. If you recognize any of these signs, call your dentist in Chester immediately.